April 11 will go down as the day that changed the recording industry. It was a sunny afternoon 100 years ago, on April 11, 1902, when Enrico Caruso sauntered into the Grand Hotel in Milan. Two hours and 10 songs later, the Neapolitan tenor walked out with a cheque for 100 ? ($10,000 in today's currency) and the world of music would never be the same. 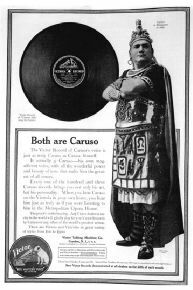 Those first recordings were released just before Caruso made his Metropolitan Opera debut and would go on to sell over 1 million copies, and April 11 will go down as the day that changed the recording industry. The maker of these recordings was Fred Gaisberg, the talent scout from the Gramophone Company in London, who had discovered Caruso a few days earlier at La Scala in a production of Alberto Franchetti's Germania. When he transmitted Caruso's fee for recording the ten songs to London, the cabled reply came back: Fee exorbitant, forbid you to record. Gaisberg crumpled the telegram and went ahead. The rest is, as they say, history. Gaisberg was to say that Caruso's recordings 'made the gramophone'. Enrico Caruso's voice possessed a richness of sound that was unexpectedly real on the scratchy gramophone of the period. Later recordings revealed even more of the golden timbre of his voice. It is surprising to note that Caruso's voice was not always the manly, natural and lyric sound fans have come to know. That sound came as a result of years of hard work. The contract clause "five years of actual singing" came back to haunt Caruso. Vergine meant "actual singing" not as a calendar period but only performing days, meaning Caruso would be indebted to Vergine for almost the rest of his life. The case was taken to court and the judgment was found in Caruso's favour; the matter was concluded when Caruso paid Vergine 20,000 francs to terminate the contract. According to Caruso, the first three years of his training were filled with exercises, and then he started to work on repertoire. "It was [Vergine] who impressed, time and again, the necessity of singing as nature intended, and--I remember--he constantly warned: 'Don't let the public know that you work.' So I went slowly. I never forced the voice." In 1895, Vergine felt Caruso was ready for his debut and arranged for him to sing the tenor role in Mignon. The first piano rehearsal was a disaster: Caruso forgot his words, missed his cues and sang off pitch, and he was let go. His operatic premiere was in Morelli's L'Amico Francesco. He went on to sing the leads in Cavalleria Rusticana, Faust, Rigoletto and La Traviata. At this time Caruso's voice was considered light and lyric with a tendency to crack on the high notes. 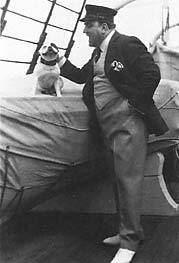 For the latter, he was helped by the conductor Vincenzo Lombardi, who coached him to sing Arturo in I Puritani, a role with a stratospheric tessitura: high D's and D-flats and an optional F above high C. In an interview with Key, his first biographer, Caruso said "... It was not quite the same kind of study I had previously known... It seemed to be advice and demonstration... which gave me the conviction that I could finally learn to sing Puritani with all the top notes." The road to the high notes was still not completely paved. In December 1896, Caruso was regularly cracking on the high notes in a performance of Bizet's Carmen. The turning point in Caruso's life occurred in 1897. 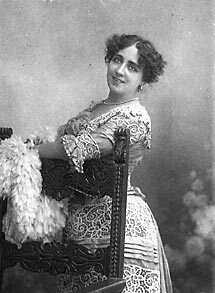 In May or June of that year Caruso travelled to Livorno to prepare for July performances of La Traviata opposite the soprano Ada Giachetti, who although one year younger than Caruso, was already an established star. Being low in funds, Caruso took a room at the apartment Giachetti was sharing with her mother. During rehearsals, Caruso marked (sang half-voice) his part, as was his usual custom; Giachetti, who had never heard Caruso on stage, was disappointed and asked the conductor Vittorio Podesti to have him replaced: "If you think I am going to ruin my reputation singing with this little tenorino, you must be out of your mind!" Podesti was confident of Caruso and the performances scored a lavish success for both singers, with Giachetti garnering more high praise. In August, Caruso paired again with Giachetti for Puccini's La Boh�me--he obtained permission after singing the romanza for the composer. Caruso said to Puccini, "Don't expect me to sing the high C." To which the composer replied, "Never mind, sing me all the aria well, and I don't care for the high C, because generally the tenors sing the aria badly in order only to sing the high C." During these months, Caruso and Giachetti began to develop passion for each other. Their love developed through the next years, and Giachetti, who was married and had a child, eventually left her husband to become Caruso's unofficial wife and the mother of his first two sons. Traditionally, Giachetti was portrayed by the media as a second- or third-rate singer who, in 1908, left Caruso for their chauffeur in a rivetting drama. Caruso's son, Enrico Caruso Jr., writing, in collaboration with Andrew Farkas, the 1988 biography "Enrico Caruso, My Father and my Family," sets the record straight. Giachetti was a student of Maestro Ceccherini, who also taught Luisa Tetrazzini in the Italian technique of appoggio. She was a fine dramatic soprano who had success in major operas opposite singers such as Fernando de Lucia and who consistently obtained better reviews than Caruso. When, in 1901, Caruso's success became more international, he forbade her to continue singing: "In this household, I do the singing." A couple of failed pregnancies also contributed to her retirement. Enrico Caruso Jr. observed that his father was probably too macho to admit that Giachetti was responsible for helping him with his vocal development. This idea is also supported by voice teacher Craig Timberlake's article "Becoming Caruso" in the March/April 1996 issue of The Journal of Singing. Caruso's resolution of his problems with high notes coincided with the beginning of his relationship with Ada. Wrote Enrico Jr.: "It is well known in the family and the closest circle of friends that Ada had taught him a great deal about singing technique." Emil Ledner, Caruso's long-time European impresario, said, "Ada Giachetti was ... probably unconsciously, an excellent and very energetic teacher. Under her instruction and wise guidance Caruso evolved from a chorister into a true opera singer. She studied his parts with him, trained his voice, gave him dramatic instruction." None of these instructions would have come to fruition had Caruso not been the consummate student. According to Ledner, Caruso spent almost every Friday evening and rehearsal-free Saturday at Jewish services because he discovered that "Jewish cantors employ a peculiar art and method of singing in their delivery. They are unexcelled in the art of covering the voice, picking up a new key, in the treatment of the ritual chant, and overcoming vocal difficulties that lie in the words rather than in the music." What attributes are responsible for Caruso's success? His reply: "A big chest, a big mouth, 90 percent memory, 10 percent intelligence, lots of hard work, and something in the heart." Dr. William Lloyd, Caruso's London throat specialist, reports that the length of his vocal tube, the distance from the front teeth to the vocal cords, was at least half an inch longer than that of other tenors, and the length of his vocal cords was an eighth of an inch longer. Caruso is known to have had tremendous lung capacity, enough to sustain a note for forty seconds or more. 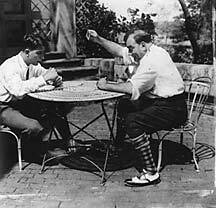 Dr. Lloyd reported that in deep breathing, Caruso could expand his chest so that he was able to push a piano some inches along over a carpet. On December 3, 1920, a piece of scenery hit Caruso just below his left kidney during the last act of Samson et Dalila at the Met. The complications and infections that resulted from that accident cheated the world of its greatest tenor. 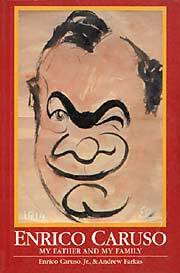 When he died on August 2, 1921, at the age of 48, Caruso was still at the top of his profession. He was the reigning tenor at the Metropolitan Opera as well as the best-selling recording artist. He was remembered as a warm, happy man who was generous to his friends. Generations of singers and tenors have been inspired by live performances and the legacy of the 250 recordings left by Caruso, not just for their golden tone but for their musical and dramatic portrayals. Today, many electronic re-masterings of the recordings have brought freshness back to them. In the next instalment, we will look at Caruso's performing and recording style, and its influences on the industry.